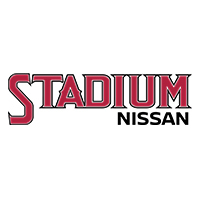 Keep things running smoothly with an Oil Change from Stadium Nissan! Making sure you keep up-to-date with your Nissan’s factory-recommended regular oil and filter changes is one of the best ways to keep your Nissan vehicle running smoothly. Our trained service technicians make sure to use the recommended oil that is best suited to your vehicle and its needs. Oil and filter changes may seem small and inconsequential, but they make a world of difference to your car in many ways. They help promote extended engine life. They reduce engine wear and corrosion. They help keep engine components cool when running. They protect the engine from sludge and wear particles. They help your Nissan vehicle meet and exceed industry specifications. Please call us or use our online scheduler below to schedule your next oil and filter change today!